We are beyond thrilled to share a few amazing photos from Chandler and Jarrod’s engagement session photos in Chagrin Falls with you all today! We’ve know Chandler and Jarrod for a few years now and we couldn’t have been more excited to get the news that they were getting married. Chandler is a real planner so when it came time to discuss their engagement session, it should have been obvious that she had already selected a location. 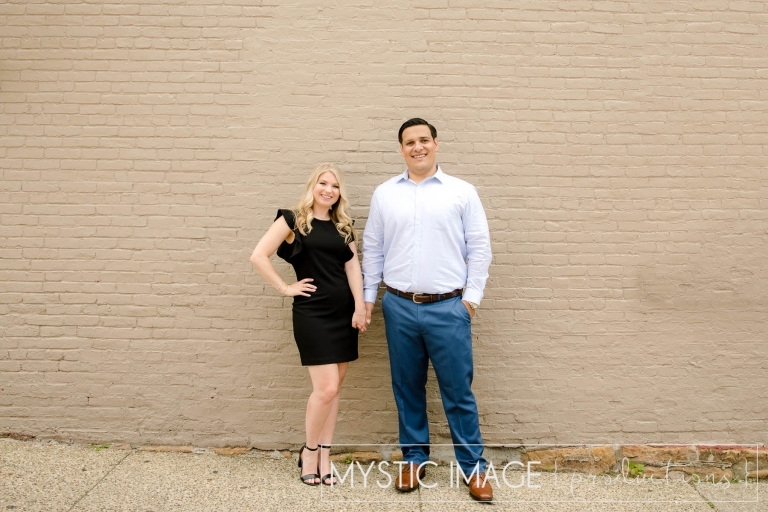 🙂 She 100% knew that she wanted their session to be in Chagrin Falls since that is where Jarrod proposed to her. How perfect! We had such a wonderful afternoon laughing as they reminisced about the funny things that happened the night of the proposal. They told us about how there was another couple who got engaged RIGHT before Jarrod was planning to ask Chandler to marry him (what a way to take the wind out of a guy’s sail). Then Jarrod had to keep stalling for time in the Popcorn Shop, buying a ton of random candies and hot chocolates, so Chandler wouldn’t find out about the surprise dinner he had planned with their parents to celebrate their engagement. Poor Jarrod! Luckily everything worked out. Chandler said yes, they had an amazing evening and now they have great story to tell their kids one day… not to mention Chandler got the best Christmas present EVER! Chandler and Jarrod, it was so fun being able to capture such gorgeous photos of the two of you in a location that you hold so close to your hearts. We absolutely adore you both and cannot wait for your wedding next June. It is going to be a spectacular day and we hope that you love these favorites from your engagement session as much as we do!